Order your Odyssey FZEVOLVEW Flight Zone ATA Case for Electro Voice Evolve 50 from AMS and enjoy 0% Interest Payment Plans, Free Shipping, Free Extended Warranty & 45 Day Money Back Guarantee. The Flight Zone FZEVOLVEW case is specially made for the Electro-Voice EVOLVE 50 Portable Column Speaker System. 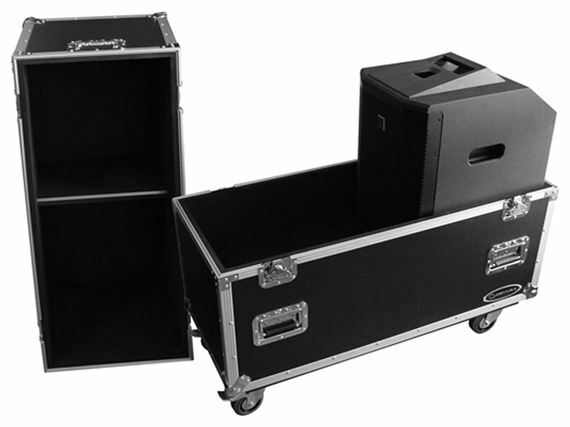 Featuring heavy-duty casters for convenient transport, the FZEVOLVEW case has recessed spring-loaded handles for secure lifting and loading to and from your gigs. Other features include recessed butterfly latches and a fully foam-lined interior with separate compartments for each piece including the subs.